Hello readers, let's talk about skin care today. 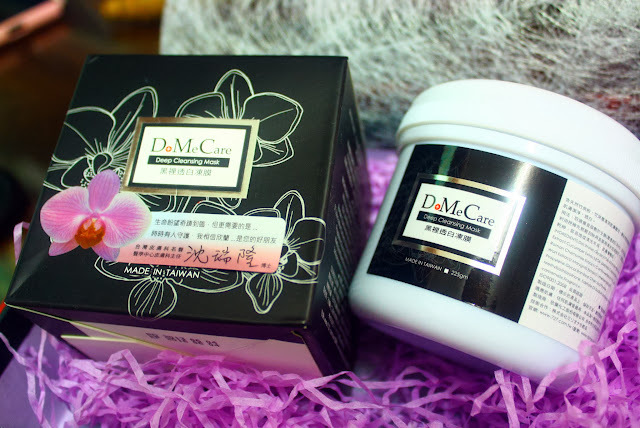 I'm here to share my experience of using DoMeCare Mask from Taiwan. Basically, I pay more attention on taking care of my face instead of makeup. I prefer my face be clean and smooth. *But, I do like to put some light makeup sometime to enhance the outlook to be more energetic. First, I notice about DMC Mask is from an online beauty store, they keep on posting the black masking face which catches my attention to click on it. I keen to try out the mask after reading the customer comment and my own research about the mask on google. What is DoMeCare Mask? 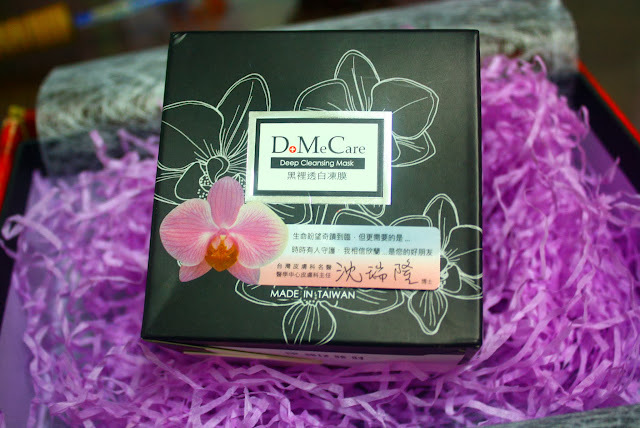 DMC Mask is a type of jelly mask, what we call in Chinese is 冻膜. It does not have any special function like hydrating or whitening your skin tone while it helps in removing the impurities, deep clean pores and stabilizing sensitive skin like reddishness of cheeks and pore problem skin. 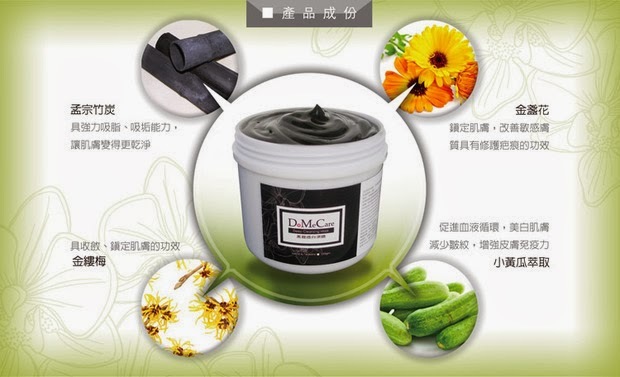 The main ingredients of DMC The mask is Bamboo Charcoal Powder, Cucumber Extract and Wild Chamomile extract. Bamboo Charcoal contains of the rich Mineral and great absorption ability by using their cavities to attract dirt. That's the reason why nowadays people start to invent bamboo charcoal into various types of products such as face towel, socks, face wash sponge, soap, underwear and etc. DMC Mask is effective in removing our black and white heads. That's the reason why I keen on trying it, I really don't like about having a strawberry nose. Besides, as we know blackhead are not easy to remove especially when we went for facial the beauty therapist will squeeze our blackhead, that the most torturing moment while having relax facial. I brought a smaller size which 225g ( RM65 ) in a bottle. It's actually available in two sizes which small 225g and large 500g! A spatula is included in the box. It's more hygiene to apply with a spatula instead of using fingers! 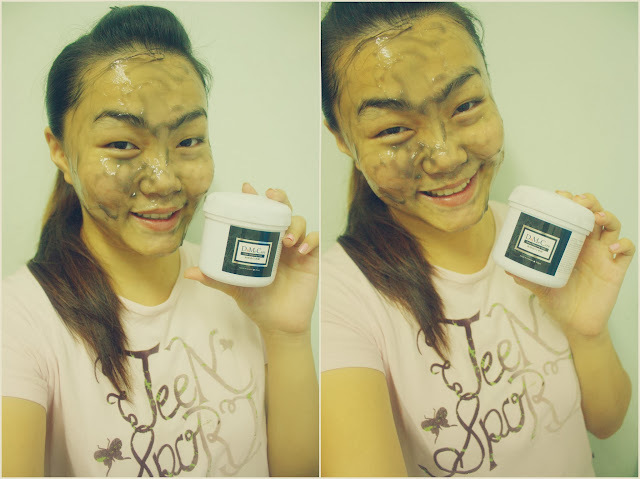 Doink doink~ The blackie jelly mask here! Can't wait to try it! 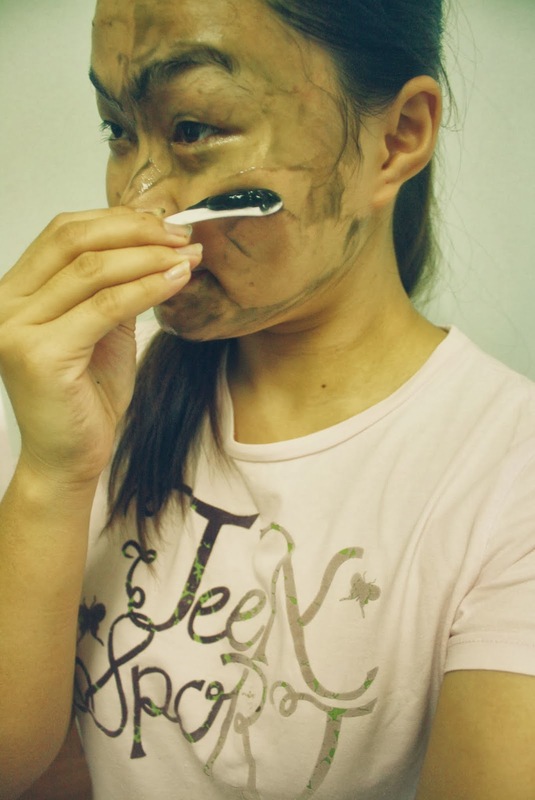 The jelly mask should apply on face for around 3cm thick instead of just a thin layer. This is because the jelly mask need to put for around 30 minutes to dry on so if you just apply a thin layer then the mask unable to function and might cause your face uncomfortable and itchy. Obama look on my face! Deep cleansing actually is quite an important steps while taking care of our skin. If our pores are stuck with dust or impurity then all of the skin care product or mask that we put are actually wasted because the dust in our pores stand as road block which block all of essential that we applied outside and it won't be absorbed. It not only suitable for girls, my darling and brother love it so much. Because why? The boy's face is always oily and they don't really know how to take care of it or even lazy to take care of it. But with DMC, their skin are obviously clean and pores have been minimized. Get one for pampering! Let's your skin become clean and smooth! 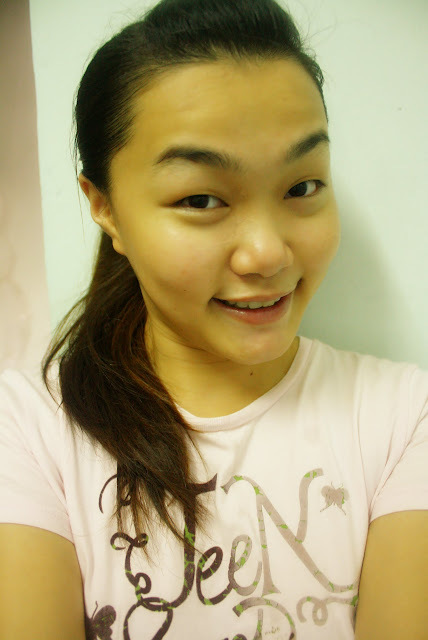 Lastly end the post with my photo after wash out the jelly mask!